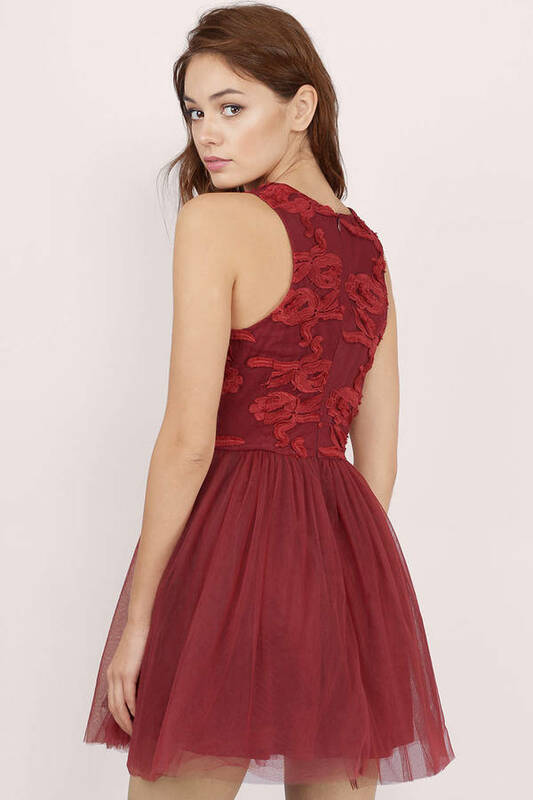 Check out Tobi's Cynthia Dress Get a taste of romance in the Cynthia dress. 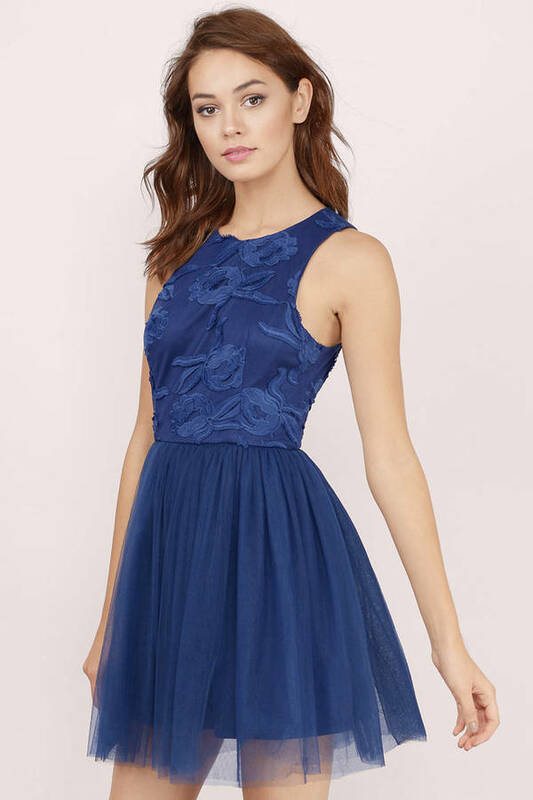 This flirty frock features a tulle skater skirt, floral embroidery on the bodice and a zipper closure. Wear it with peep toe pumps and a brightly colored clutch. 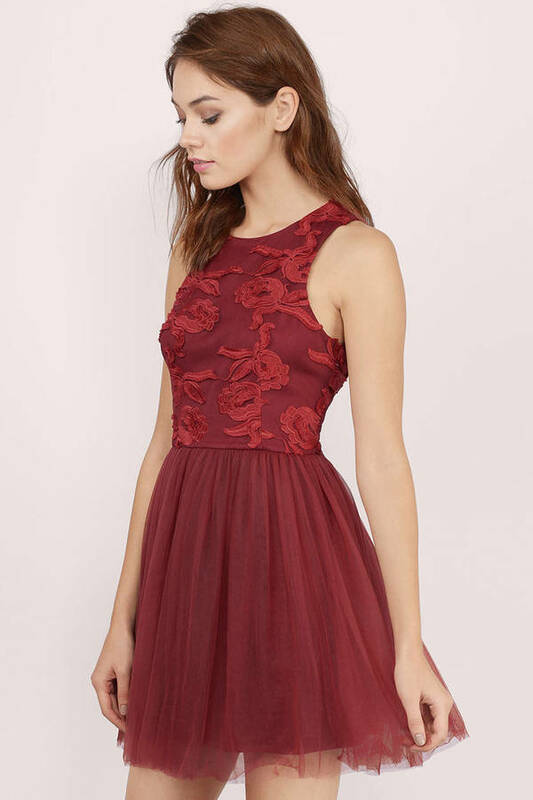 Get a taste of romance in the Cynthia dress. 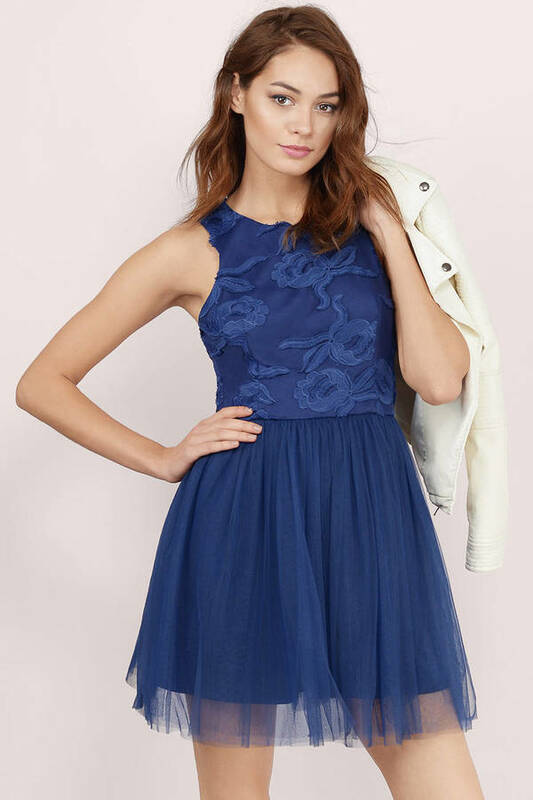 This flirty frock features a tulle skater skirt, floral embroidery on the bodice and a zipper closure. Wear it with peep toe pumps and a brightly colored clutch. Navy, Wine modeled on a size Small.